Eating mooncakes is a must-do every Mid-Autumn Festival, but having the same ol’ ones can get boring. If you, like me, are looking for something novel, you will be in for a treat this 2018. Here is our round-up of mooncakes to get this mooncake festival to celebrate in style. Teaspoon Of Love is one of our favourite picks for mooncakes this year. Their Salted Gula Melaka & Coconut Snowskin Mooncakes ($65 for six pieces) are pretty killers. Each bite was dreamy, with gula melaka lotus paste paired with sea salt and pandan. 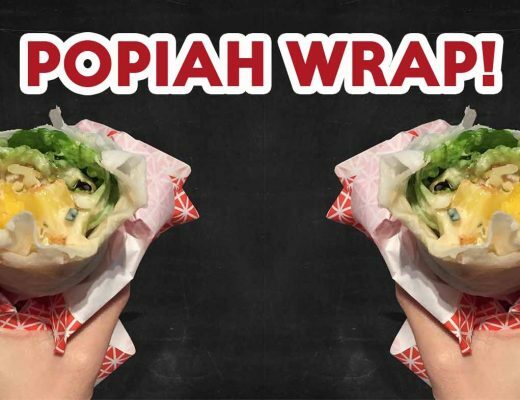 It was a harmony of flavours that wraps itself around you, lingering like a delicious kiss. Doesn’t hurt that each box also comes wrapped with an aesthetic paper sleeve and ribbon. Get yourself a box online from now till 9 September! Phoenix Lava first captivated us with their oozy lava buns, and now they’re dishing out equally molten mooncakes as well. $48 gives you a box of two Thai Monthong Durian Lava Mooncakes and two Salted Egg Lava Mooncakes. Don’t forget to pop these into the microwave for 45 seconds before serving for their signature flowy centre. Check out our review of their durian lava bun! 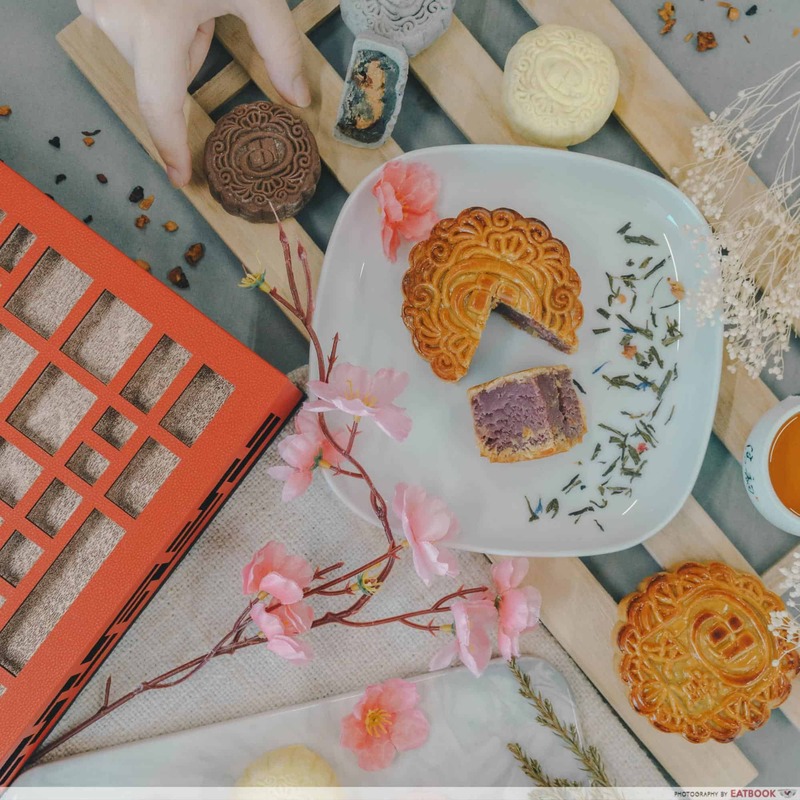 The colourful mooncakes from Goodwood Park Hotel truly take the cake as the most beautiful or high SES-looking mooncakes this Mid-Autumn Festival. 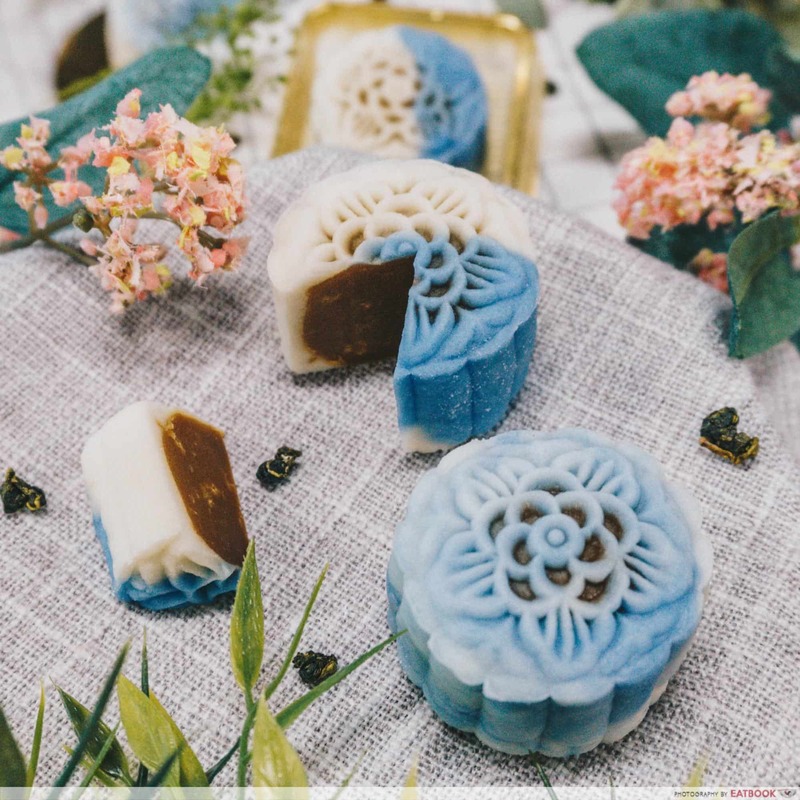 Adorned with real flower petals, these Blue Pea Flower with White Lotus Seed Paste and Melon Seeds Mooncakes ($42 for two, $64 for four pieces) are highly Instagrammable. 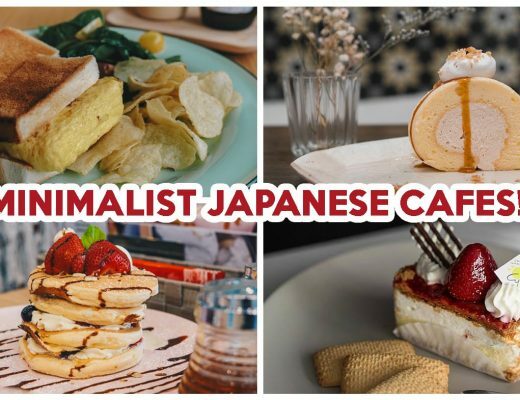 They also offer fruity flavours such as Almond Beancurd with Longan ($36 for two, $56 for four pieces) and Soursop with Calamansi ($34 for two, $54 for four pieces). If you like your packagings pretty, Crystal Jade’s mooncake box is sure to win your vote. 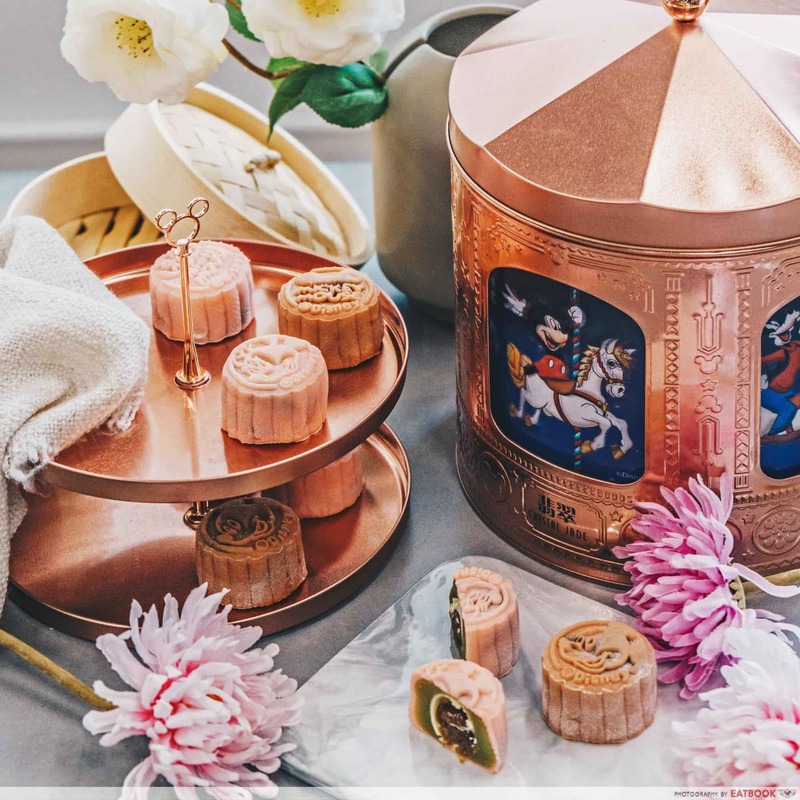 It is a rose gold limited-edition Disney tin box that does more than just hold the mooncakes – it also acts as a rotating musical carousel as well. Setting you back $88, the tin contains eight snowskin mooncakes in two flavours, Chocolate Manuka Honey and Pandan Lotus Gula Melaka. 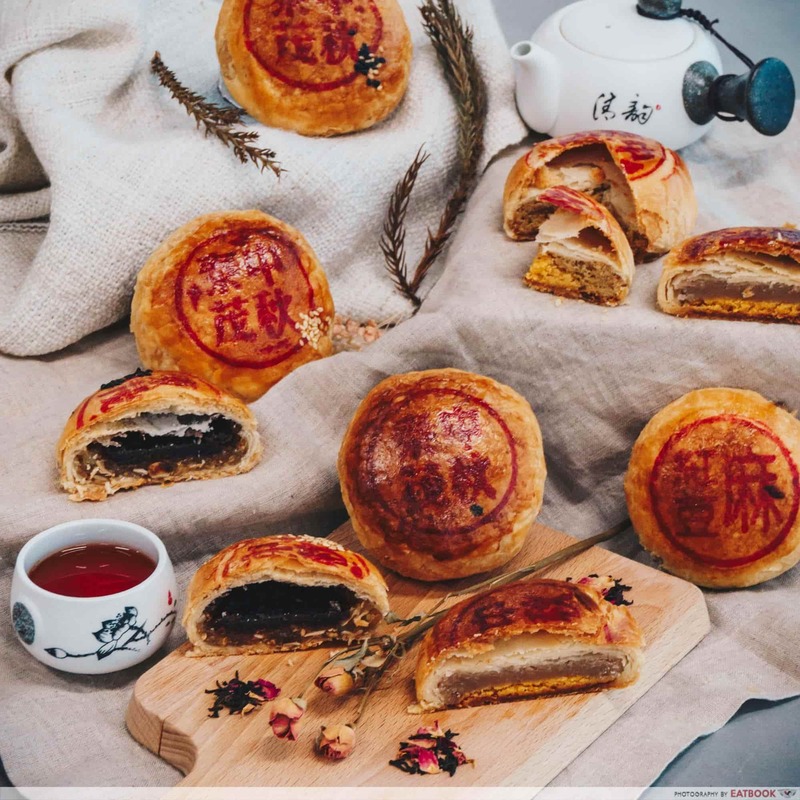 Get your hands on the Four Heavenly Kings Baked Mooncakes ($68.80 for four pieces) and Four Heavenly Beauties Snowskin Mooncakes ($68.80 for four pieces) from Old Seng Choong. The former is a selection of traditional mooncakes with interesting flavours such as Black sesame with Yolk Blend & Melon Seeds. The latter features mooncakes containing alcoholic truffle centres, such as Bailey Whiskey with White Chocolate Pearl and Yuzu Martini. 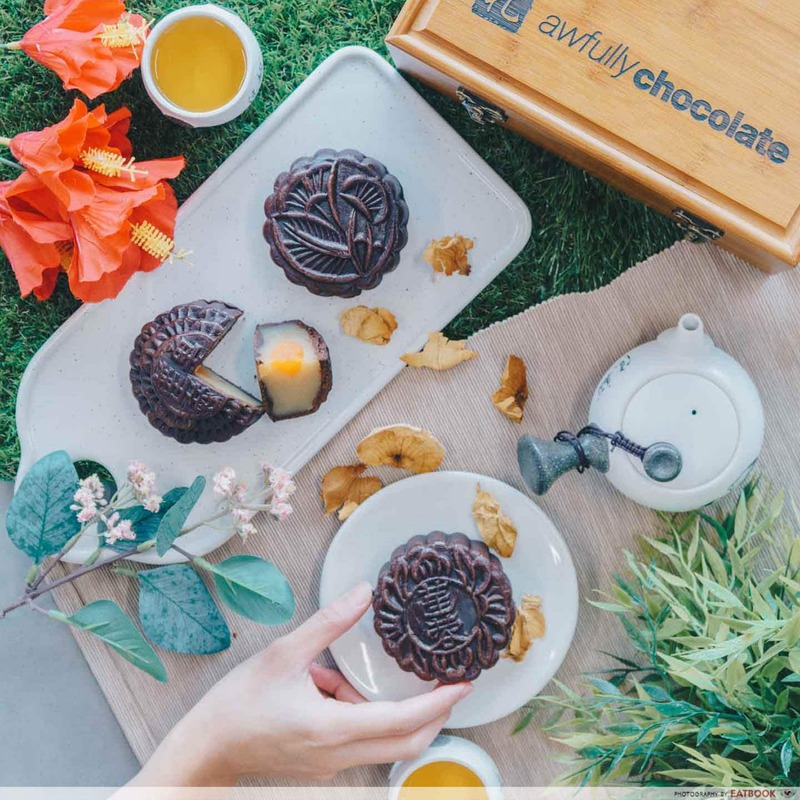 Fans of chocolatey desserts would be intrigued by Awfully Chocolate’s ingenious creation: chocolate brownie mooncakes. Imagine a moist and chewy brownie filling paired with toasted melon seeds – yum. An Awfully Chocolate Mooncake Collection ($88) comes with the brownie mooncake and three other dark chocolate baked ones. You can also get their Chocolate Mooncake Truffles ($88) in flavours such as Hazelnut Chocolate with Nutella Yolk and Dark Chocolate with Espresso Yolk. 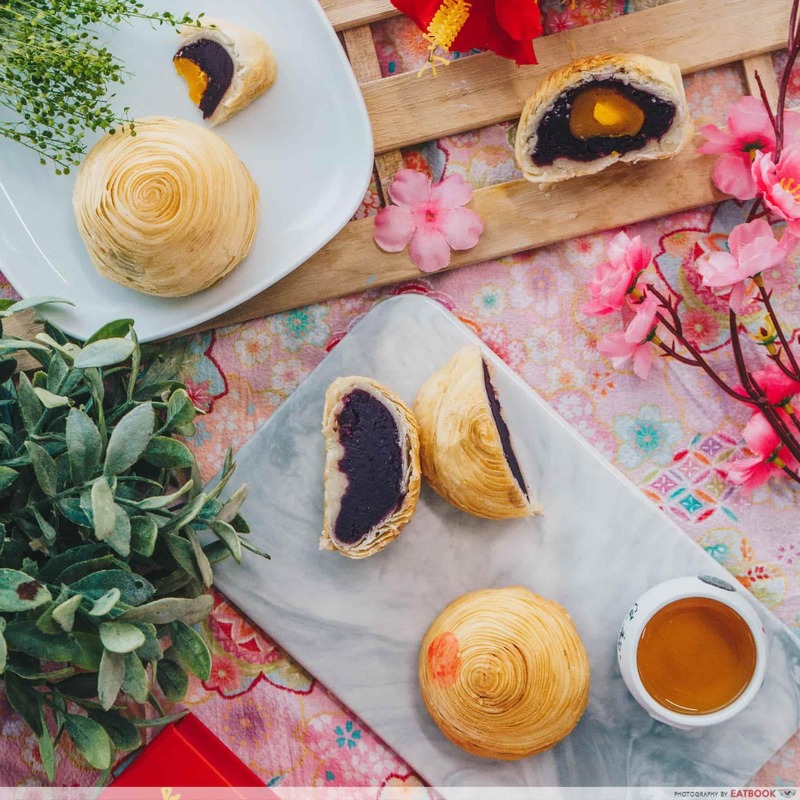 Pretty in a dreamy shade of lilac this year are Hilton’s Purple Sweet Potato with Walnut baked mooncakes ($36 for two, $64 for four pieces). 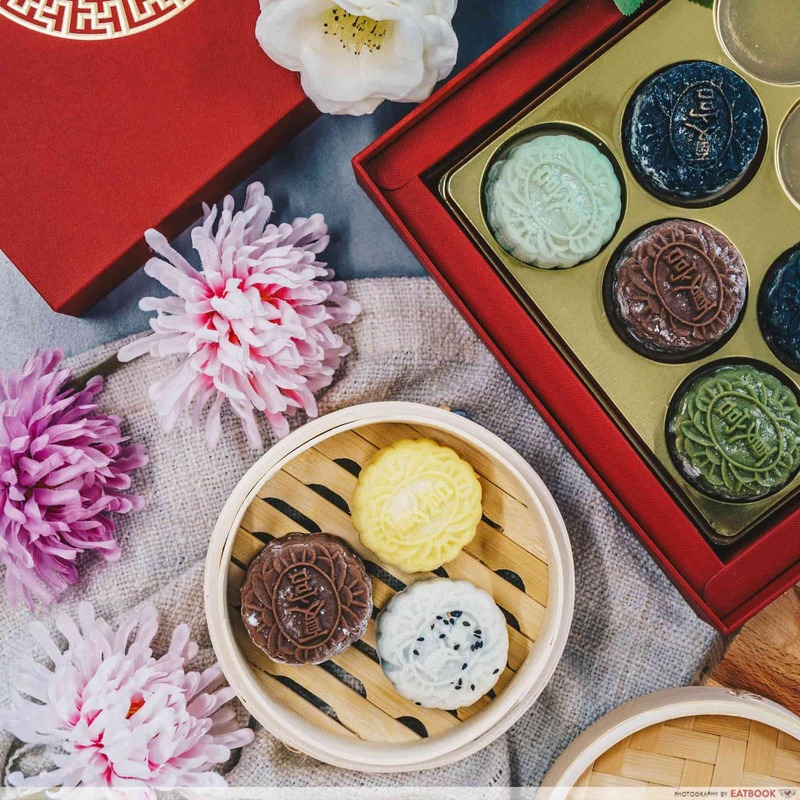 A healthier twist to traditional baked ones, these mooncakes will lift your spirits and delight your senses in terms of colour, scent, and flavour. There are also interesting mini snowskin alternatives including Salty Mung Beans with Yuzu & Honey and Black Sesame with Hazelnut Praline going at $64 for a box of eight. Fans of Teochew-style mooncakes will love the ones from Putien. For the 18th year running, they are offering Madam Leng’s Yam ($48+ for four pieces) and Purple Sweet Potato ($52+ four pieces) mooncakes. Savour each mouthful as the flaky crust merges with the rich and smooth fillings. These buttery mooncakes echo their ethos of using only fresh ingredients, so finish them within three days from purchase. Make the older folks smile by bringing home sweet and salty Teochew mooncakes from Thye Moh Chan. These mooncakes have aced their filling-to-pastry ratio, making every bite a joy to savour. 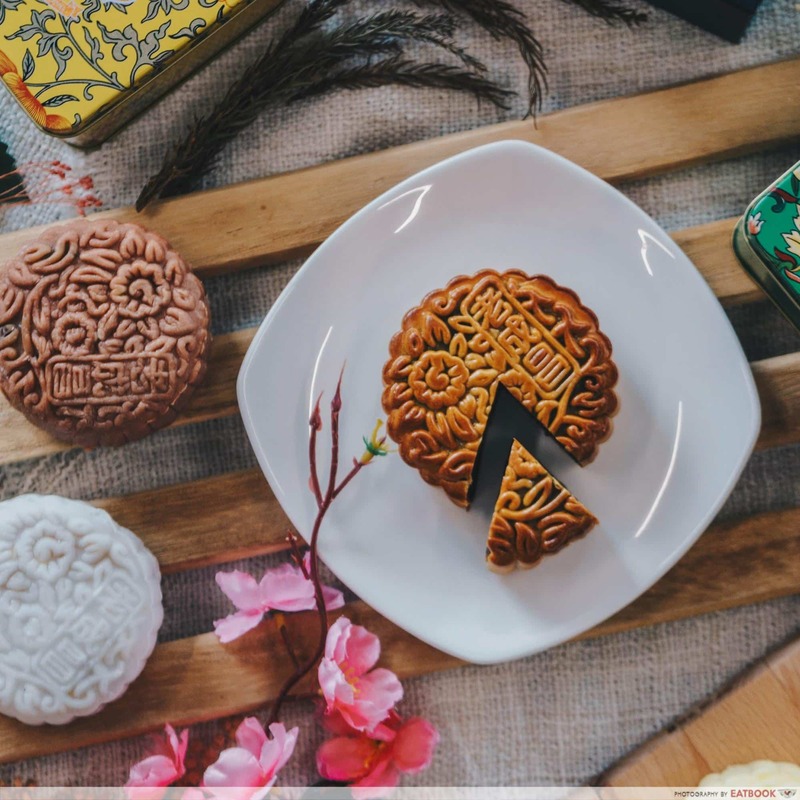 Order some traditional classics such as Teochew Mooncake ($18.80 each) and Salty Tau Sar with Salted Egg Yolk ($33.80 for four pieces), or go for new and limited-edition flavours such as Red Bean Mochi with Salted Egg Yolk ($38.80 for four pieces) and Mao Shan Wang Durian ($43.80 for four pieces). 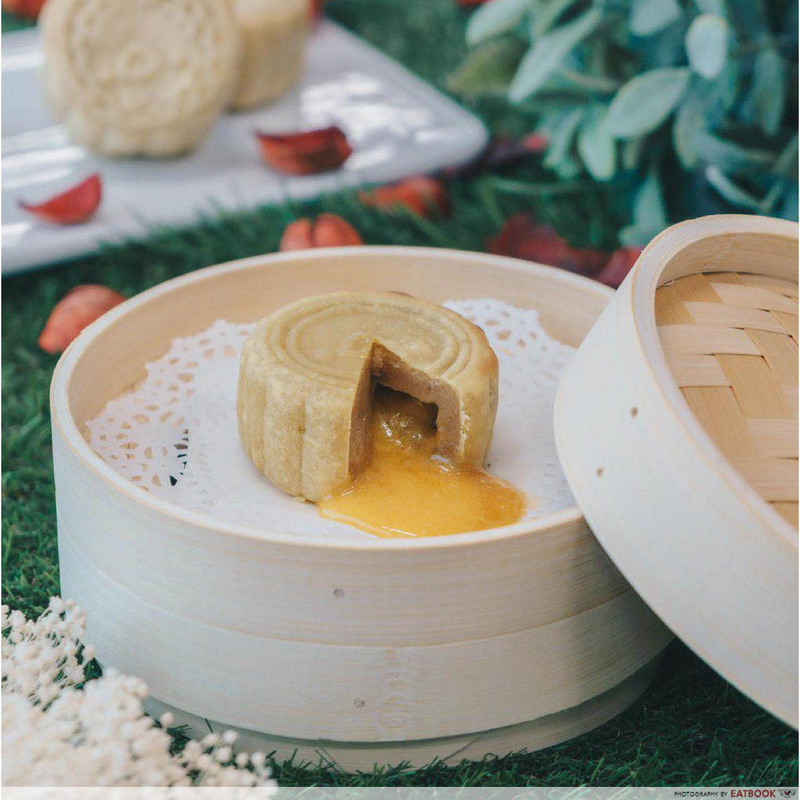 Wow your loved ones with whiskey mooncakes from Regent at $73+ for eight pieces. The Barrel-aged Sazerac 6-year-old Rye with Coffee and Chocolate Mooncakes are a hodgepodge of flavours that divides opinion and is a novelty to eat, while the Barrel-aged La Louisiane Cocktail with Yuzu and Green Bean Paste Mooncakes charms with a mix of tangy citrus and sweet green bean paste. 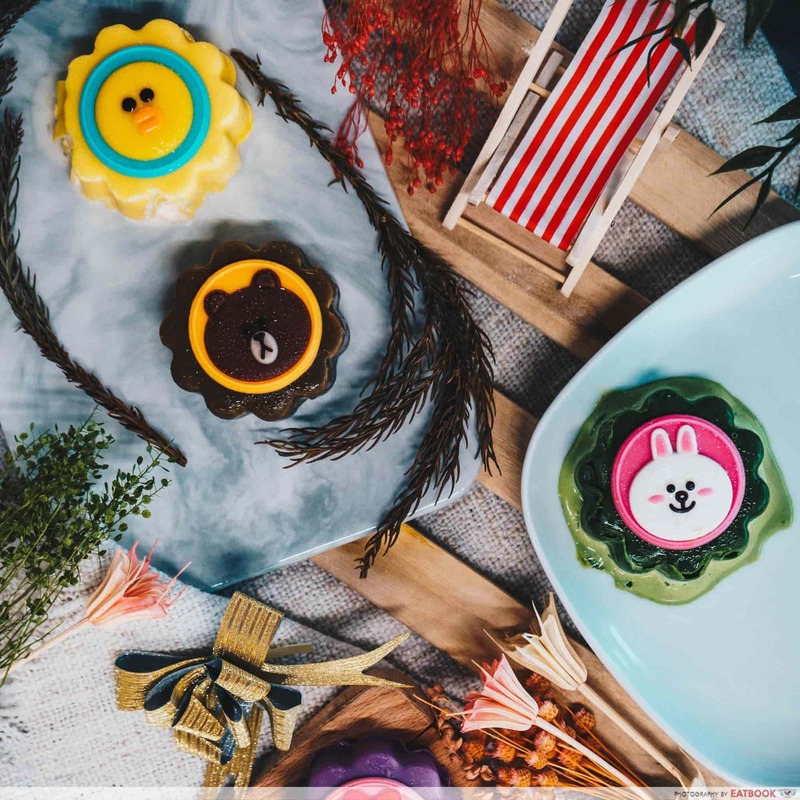 Throw a fancy mooncake party for the kids with adorable Häagen-Dazs ice-cream mooncakes at $64 for four pieces. 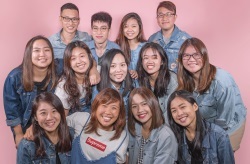 They come in a kaleidoscope of colours, featuring Line characters such as Brown, Cony, Sally, and Choco. 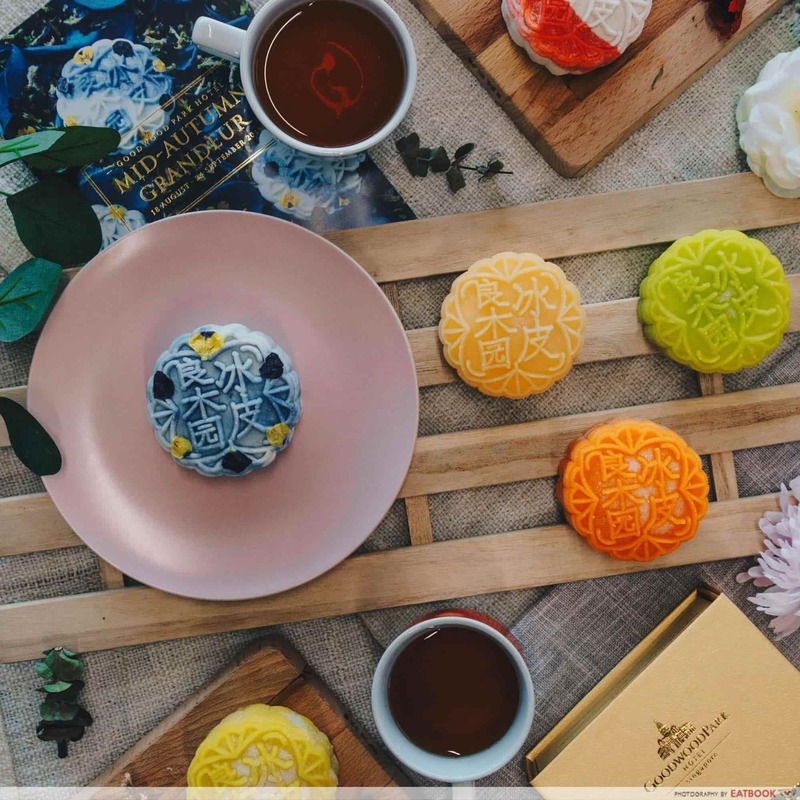 These mooncakes have a hard shell coating of Pumpkin White Chocolate, Hojicha, Purple Potato White Chocolate, and Green Tea Chocolate, with Macadamia Nut, Vanilla, and Green Tea ice-cream fillings. Mooncakes can be obnoxiously pricey, but a good one will truly be worth its price tag. 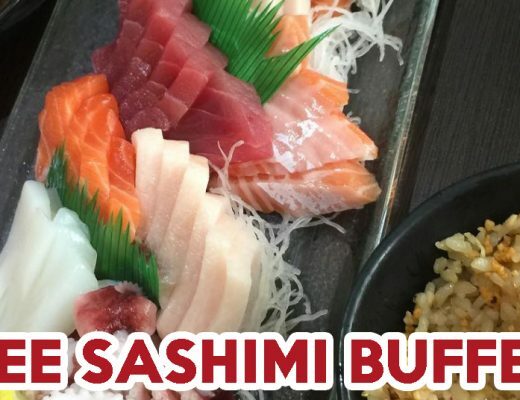 Also, check out our guide to Newton Food Centre, where Rachel Chu feasted at in the film Crazy Rich Asians.